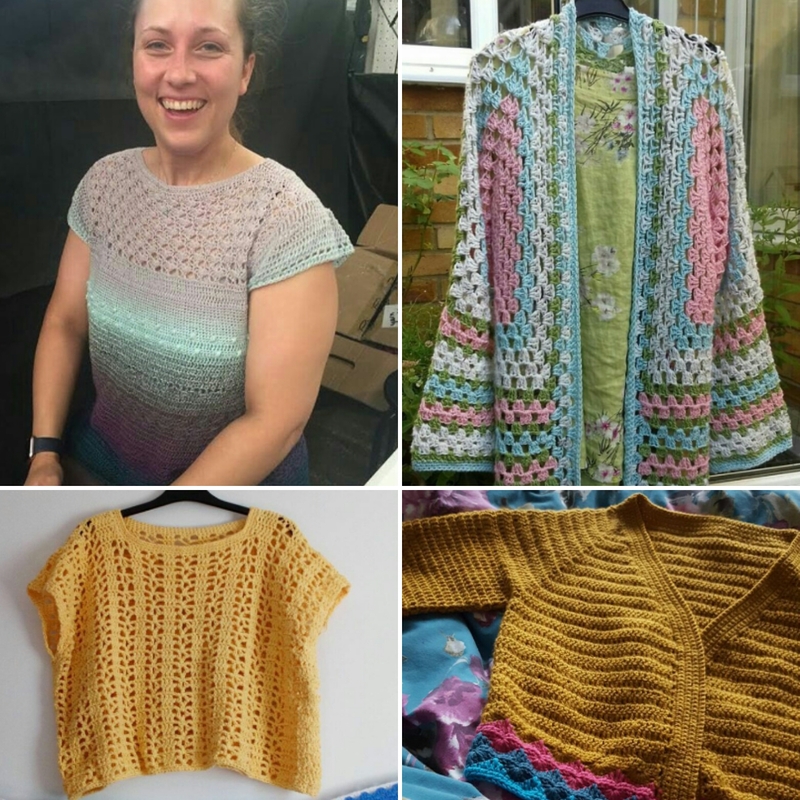 Lovely Rosina from the Zeens and Roger podcast wrote a wonderful blog post this week about our Back to School Sweater crochetalong which included several photos of herself sporting not one but two sweaters. She is one of several talented crocheters out there who had never made a crochet garment until our CAL. I just love that!! 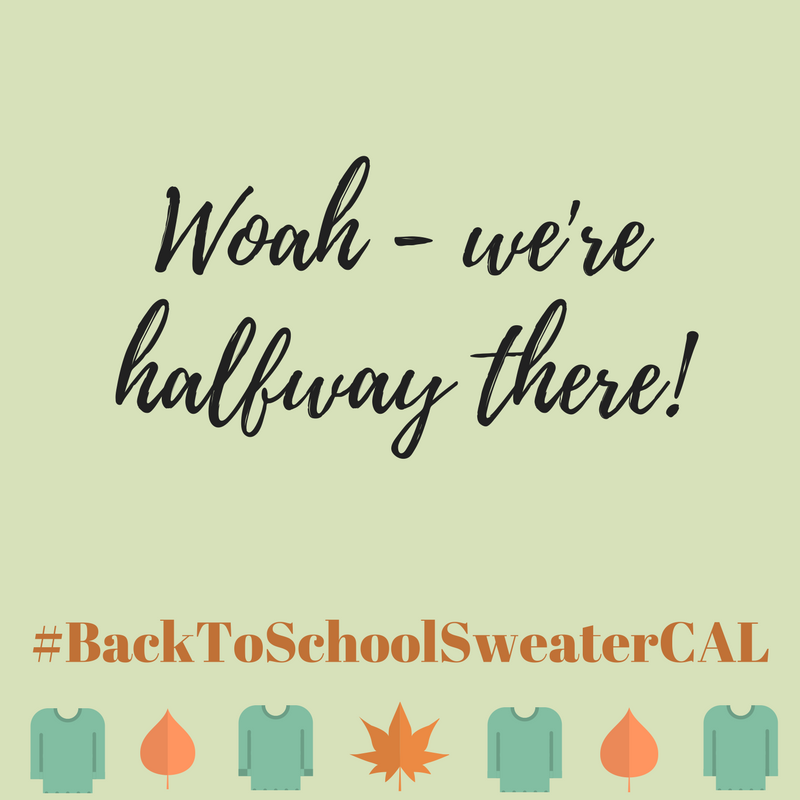 Her blog post reminded me that we're only halfway there. 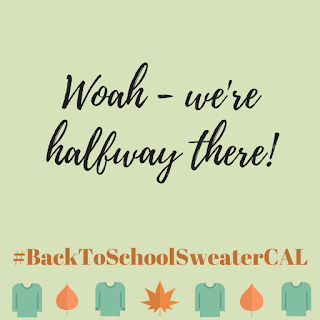 You have until November 17th to finish a garment and post a photo of in the Ravelry finished objects thread in the Crochet Circle Podcast Group or post the photo on Instagram with the hashtag #BackToSchoolSweaterCAL Come on, you can do it! It's four weeks today. And there are some wonderful prizes to tempt you! 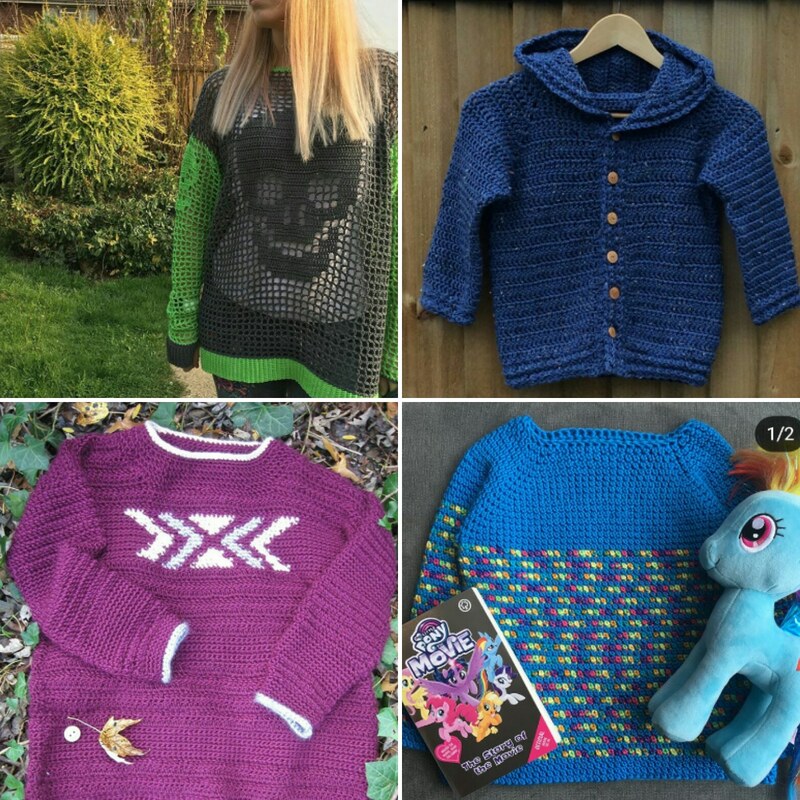 Anyway to finish up I'd though I'd share some of the lovely FOs (finished objects) posted so far on Instagram. These talented folk have all given me permission to share their photos. 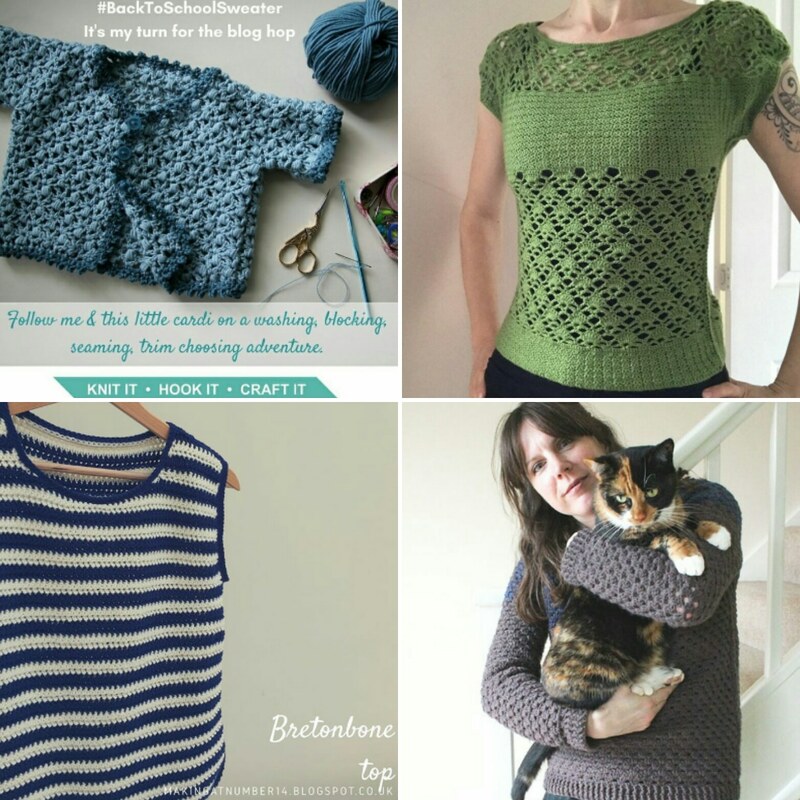 I know not everyone who reads my blog is on social media and you just have to see all this crochet garment loveliness! Have a wonderful week everyone! So sorry I missed this yesterday. 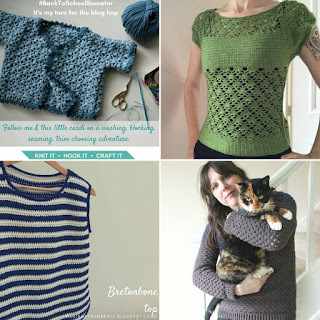 What a fabulous post and an amazing gallery of finished objects. 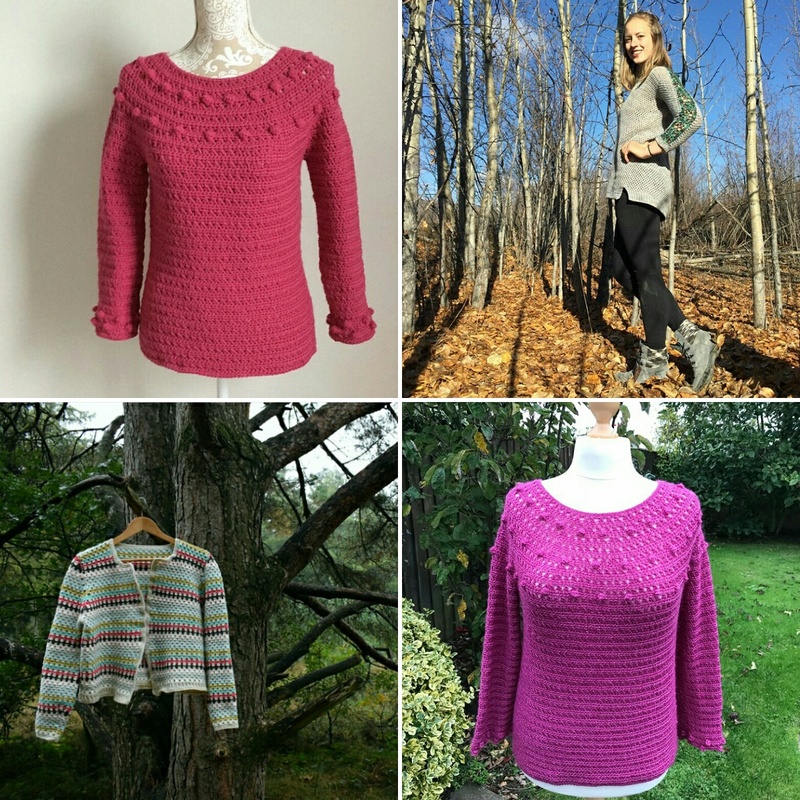 Crochet garments are the best! Thank you Helen. Yes! Crochet garments rock! Thank you Marta. The CAL has certainly made me want to make more garments. Hope your week has calmed down a little now!